Hi guys! For a while now I've been running out of a lot of different products, and as I've seen a lot of YouTubers do 'empty products' videos, I decided to keep the packaging and show you. I ran out of the 'I love...Strawberries & Milkshake' exfoliating shower cream a while ago and I really enjoyed this product. The exfoliating beads weren't too harsh on my skin meaning that it was quite gentle on my skin. I think the best things about this product were the scent and the price, both very very pleasing. The next empty product is a Caudalie make-up removing cleansing water that I've also spoken about in another blog post. I really enjoyed this product as it removed my make-up well and also had a nice scent, however I haven't repurchased this as my current make-up remover is more effective and also cheaper. One of the products that I have repurchased is the Rimmel Match Perfection foundation. This is still my current foundation as I think it has a really good coverage and lasts me a while too. Weirdly, it also has quite a nice scent too which I like about it too. Another product that I have repurchased is the Collection Lasting Perfection concealer in 1 fair. Everyone has absolutely raved about this product and I completely agree with them, the coverage is amazing and especially for how inexpensive the product is. The only downside that I have with this is that it does tend to crease underneath my eyes which can be a bit of a pain, but it's nothing that a bit of setting powder can't fix! The Rimmel Wake Me Up foundation is another product that everyone and their dog raves about. I did like this product, but I'm not too fussed on repurchasing it. 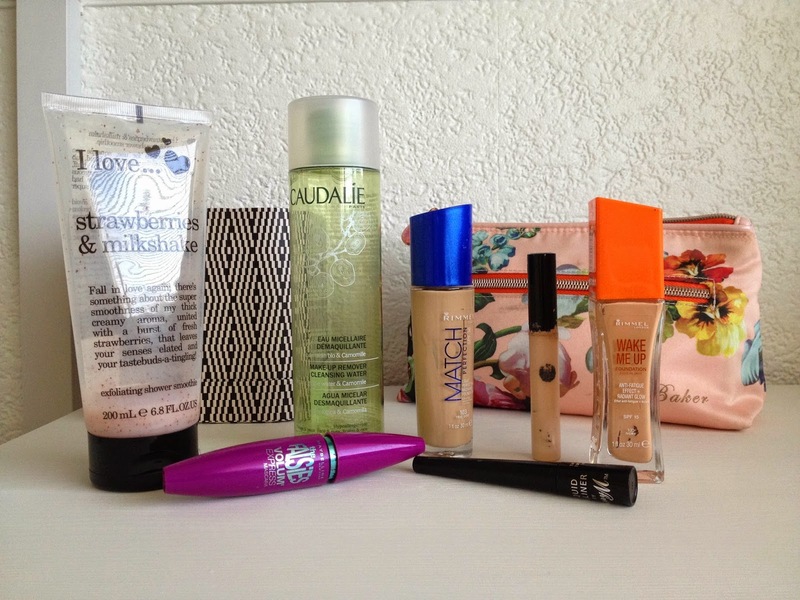 I found that the foundation looks amazing in Summer, but as foundation tends to last me for more than one season I also used it in Autumn. I found that my skin looked glittery, and even a couple of my friends pointed it out. I'm all for a nice sheer glow, but I don't want a glittery face. My second last empty product is the Maybelline the Falsies mascara. I did repurchase this however I purchased a different version which I found is SO much better than this version. I think the version of this with the black detailing on the bottle instead of the blue is so much more lengthening than this one and creates more volume. My last empty product is the Liquid Eyeliner by Barry M. This eyeliner is different to others that I've tried as it is like a little pen/nib that you dip into the little pot. I did really like this product however I found that within 2/3 hours half of it had rubbed off and I had to re-apply it.